That means travel, rest, play, sun, sand, surf… and significant learning loss. Here are some suggestions for a productive summer. With eight weeks off, there’s a lot you can do to make next year more successful. Block out at least two full weeks with no school work. Let your mind wander, your health recover and your sleep be deep. Reset your balance, get active and maybe even try something new – and non-academic. You will feel better and be better able to focus on the challenges of next year. If you try to do a little work each day, it will always be in the back of your mind, causing stress. The Extended Essay is supposed to take around 40 hours of effort. That’s one full Monday-Friday working week. Set aside some time, with peace and the resources you need, to write the best draft you can. If your EE is causing you stress, get it done sooner in the break – you will be better able to enjoy the rest of your vacation. Once you have rested and recovered, set aside a full day or two to focus on Biology. Go through your notes, work on vocabulary, make connections across topics, practice questions from the book, re-read the chapters or presentations, watch (or re-watch) the CrashCourse videos, use the sortable syllabus to practice the assessment statements, practice drawing, labeling and annotating. There is a strong positive impact of spaced practice on learning, so taking the time to review will help make your foundation stronger for next year. Science is far more than the list of assessment statements we study in class. It is a fast-moving pursuit of knowledge that connects ideas from around the world and across the disciplines. And there is a lot written about science every week. Dip into the science news, read longer articles or pick up a science book. You’ll enjoy it and it will help you make more connections. How does this connect to what I already know? What vocabulary is important in this text? How much is known or unknown to me? What are the implications of this information for science or the wider world? What Theory of Knowledge questions does this connect to? What questions does it raise? National Geographic’s Phenomena salon, with blogs by Ed Yong, Virginia Hughes, Carl Zimmer, Nadia Drake and Brian Switek. These are all excellent writers, bringing research to life in informative, current, mid-length articles. Ed Yong even posts a weekly ‘missing links’ collection of loads of collected articles, news items and funny bits from around the internet. Dip into the #IBBio stream on Twitter once in a while – teachers are posting links, resources and articles there all the time. TED’s Science stream has stacks of great talks that connect to our course. You can also hear lots of useful podcasts: The Guardian Science Weekly, Naked Scientists, Science Magazine Podcast, RadioLab and lots more listed at PopSci.com. For some great books you might want to check out Adam Rutherford’s Creation, Rebecca Skloot’s brilliant The Immortal Life of Henrietta Lacks, Ben Goldacre’s Bad Science and Bad Pharma, Richard Dawkins’s Selfish Gene, or The Oxford Book of Modern Science Writing for a great compendium of lots of writers. List and describe the four basic biological concepts that run through the discipline of Biology. They are on page 40 on the subject guide. Teachers in MYP schools will be well aware of the concept-based nature of the Next Chapter as it arrives, but in reality it may already be here in our classes. How many times do we ask students how the knowledge we have gathered in a lesson or sequence connects to other knowledge, looking for commonalities and themes? This, in a simple way, is teaching for conceptual understanding*. We want students to be able to recognise concepts in new content – the universal nature of the genetic code and the diversity it facilitates; adaptations to maintain homeostasis (equilibrium) within living systems, the relationships we see between structure and function in all living systems and the process of evolution by natural selection that underpins them all. I want to make it a personal goal this year to be more explicit in the learning of the big ideas of Biology: the concepts. We’ll start this week with a group task for students to try to connect these concepts to their latent understandings of Biology and we’ll build from there. Jigsaw tasks for students in different groups as we review a unit: one group for each concept who need to explain how the content of the unit feeds into that one conceptual understanding. Connect-extend-challenge (a visible thinking routine**). As we build a body of biological knowledge students can reflect and review based on how this connects to each of the four concepts, how they might extend their understanding with deeper questions and what they have found challenging in the unit/ lesson. Concept walls: spaces in different parts of the classroom where students might pin their thoughts on the topic (or post post-its). If you have more ideas for how to use the concepts of biology to strengthen students’ understanding, please share! * ‘Teaching the Disciplines – Nurturing big Ideas for Deeper Understanding’ is an excellent document from the MYP section of the OCC. Read the section on the sciences. **Harvard’s Project Zero has a fantastic set of thinking routines to make thinking visible. Try them out! 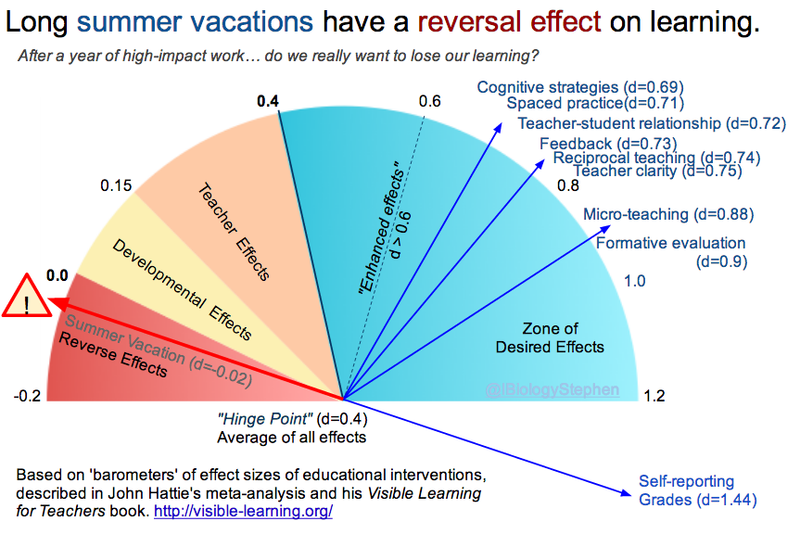 What are we really learning from practical work? As we study science, a lot of our time and resources are devoted to implementing an engaging practical scheme of work. Are we really making the most educational use of this time, these resources and the opportunities that we have? Teachers all over the world use experiments and demonstrations to engage students in the concept being taught. But does this actually improve student learning? Two recent videos have got me thinking about this issue, and before you read on you should watch them both. The first is from UK science teacher & communicator Alom Shaha (@alomshaha), half the brains behind the sciencedemo.org website. The video was produced for the Nuffield Foundation’s new Practical Work for Learning resource. He refers to a number of research papers in the video, and is also one of the leaders of the #SciTeachJC (science teachers journal club) twitter discussion group. Do you recognise those labs and how do you use them? Do the labs we do really help us teach the concepts we intend them to, and how can we rethink (or at least evaluate) our use of labs. The second video is from US Chemistry teacher Tom Stelling (@ChemistTom), on his “vRant” about students asking to “blow something up” and the dangers of ‘wow’ demos as distraction rather than education. Note: this post rambles a bit from here on. If you want to know more, please read on. Otherwise, all the good bits were in Alom & Tom’s videos.